Companies run with proper team management. There are various departments in an organization. All of them need to coordinate well to carry out every task in the company. Communication plays a great role in the completion of the tasks. Today, there are many chat apps for companies to make the work much easier. HipChat is a nice messaging tool for group chats. The employees of various departments can work together using HipChat as their medium of communication. It has amazing features like file sharing and one-to-one chat option and others. Some months back, Atlassian decided to close this service due to unknown reasons. But, you have many HipChat alternatives to use for communicating daily in the company. Skype is one of the most popular platforms for making and receiving calls, send messages and share files. It includes video calling making your task simpler to connect with your colleagues. You can share the work on a common screen with this app. It is convenient to share pictures and videos via Skype with employees of different departments. This tool provides the leaders more comfort to manage the work. They can easily explain the tasks to be carried out. It gives the facility to all the teams of the company to work in synchronization. This is one of the smartest Hipchat alternatives for startups and small companies. It is an easy app for communication. The employees of various departments can come together on a single platform to share the work. It has a big window where everyone can share his/her opinion, views and ideas. LiveChat can be integrated with more than 130 tools. It is compatible with iOS and Android devices. The tool works on all the versions of Windows. The plans of LiveChat start from $50 per month to $59 per month. Troop Messenger, the new in-thing in the arena of instant messaging for business applications, is a comprehensive team collaboration tool for businesses-small to giant. The user interface is absolutely friendly to any novice user who logs in to the application. The power-packed features of this application act as a great medium for seamless team communication. It has diverse affordable pricing plans such as the free plan, premium, enterprise and exclusive customised pricing plan for Government and large corporations. Explore the tool right away to know more. The next on the list is Zulip app. It is an open source platform to do the better quality of work in groups. It has a nice chat room in which team members can share the work. This app has the feature of threaded conversations. You can discuss various issues and questions of the companies on this platform. It has many other features such as video and image sharing. Zulip is the lightweight app which can integrate with numerous tools. You can drag any file and share with your teammates within a few minutes. Yammer is one of the best alternatives of HipChat you can use for your company. It is a simple tool to discuss the tasks of different departments in one place. The employees can share files, images, videos and other documents to carry out the work in a systematic manner. It supports both Android and iOS platforms. You can also download it on various versions of Windows. The plans of Yammer start from $5 per month. It is one of the most affordable apps for small companies and startups. 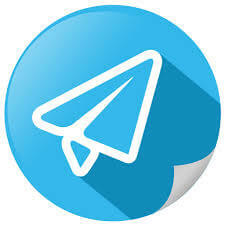 If you want an easy app for managing all the activities of companies, Telegram is the right choice. It has great speed and keeps the documents private and confidential. It comes with powerful features such as GPS location tracking, group chat, photo sharing, and others. Telegram encrypts your conversations and calls so that outsiders cannot get any data. You can make video calls too in a team for a discussion of work. It gives you ease to send multiple files in a large folder with this tool. Pie is another robust tool for good quality teamwork. It is totally a free app to use. It can integrate well with other tools and apps. Pie gives the facility to the team leaders to explain the work to its team members in a more precise way. One of the major benefits of this app is that you can manage all your projects from any part of the world. You can send text messages or make video calls to explain the work. Free calling, sending text messages and chatting in groups are some of the beautiful features of Viber. Apart from being a personal messaging app, Viber is also used by professionals and small business owners. It will make the work much simpler and better in a company. It has many languages to choose from. You can engage in the video calling with your team members on a common project. Viber is compatible with Windows, Linux, and Mac. You can connect Viber with many devices such as smartphones, Apple watch, and tablets. The next on the list of HipChat alternatives is ClickDesk. It offers many features such as voice calling, text messages, and live chats. Through these features, you can collaborate with your team members on a single project. You can share documents, images, and videos via live chats and video calls. It is a reasonable tool offering plans of $24.99 per month. It can be integrated with different platforms such as Highrise, SugarCRM,and others. ClickDesk is one of the best tools for doing better teamwork. Gitter has private chat rooms in which about 25 users can communicate. They can discuss the tasks of each department in a clear manner. You can search chat history on this tool. Gitter will help you to control the activities of the company from any part of the world. You can instruct your team members by calling or sending text messages. It can be integrated with many apps and tools. It keeps all your chats private and does not leak any data. Flock is the system to communicate in the teams. It has many amazing features such as video and audio calling, sharing files and images and others. You can use Flock with other apps like Trello, Github and Google Drive. It will ease the work of team leaders to discuss the various projects to their members. It has several languages like Spanish, Russian and Portuguese. The plans of Flock start at $149 per month. It is one of the most reasonable tools for any company. Mattermost is one of the best HipChat alternatives you can use for your company. It makes all the tasks accessible to every member of the company on one screen. It can be used with many apps and integrations such as IRC, Giphy, GitLab, and others. You can easily search the chat history and other conversations anytime and anywhere. This app has many themes to apply. It comes with install guides to give an idea of installation to all the employees of the company. The next on the list is Discord. It has features such as text messaging, voice calls and video calls. This is a secure tool to use in startups and small companies. Through video calls, you can connect with your team members at different locations. You can then bring all the members on a single screen and discuss the various projects. Discord gives you the facility to build a chatbot for your team. It keeps the chats private and confidential. The plans start at $4.99 per month. Glip is a robust tool for small companies and businesses. Through this app, you can know the progress of each department from any part of the globe. It makes possible to access information from any device. It also has a team calendar by which you can manage all the projects and complete them on time. You can edit notes and share files and documents with the help of Glip. This tool integrates with apps like MailChimp, Asana, Google Drive and Trello. ProofHub is one of the smartest alternatives of HipChat. It will make every task easier and better. ProofHub will join all the teams of the company to work together. They can share files, videos, and images via private chats. This tool will give you the comfort to manage the different departments. You can synchronize all the activities of the company. You can view the company’s documents, files and other details from anywhere. It works well with various devices and platforms. Bitrix24 is a less familiar app but it is a good option for small business owners and entrepreneurs. It gives you the facility to share files and documents with your team members. It offers various features such as video calls, group chats and to do lists. It comes in both cloud-hosted and self-hosted version. Moreover, Bitrix24 is free of charge for 12 users. It offers the plans starting from $99 per month. Crust Messaging is a high performance, self-hosted, open source messaging tool that allows your teams to collaborate more efficiently, as well as communicate safely with other organisations or clients. In Crust Messaging you can create public or private channels, organised by team, organisation, project or any other topic, create message threads within channels and send direct messages. A complete set of role based access controls allows you to determine how each channel is managed, providing your team and external clients and organisations with a clear and uncluttered collaboration experience. These are the best HipChat alternatives you can use for the company. They offer various features to ease the work of every department. These apps are compatible with many apps and devices. These tools will bring together all the teams of the company to work on similar projects. They are reasonable in prices and provide a better quality of work in companies.